Following a customer's purchase of David Paulides' fine, recent book, "The Hoopa Project: Bigfoot Encounters in California" (review coming soon! ), BIGFOOT BOOKS discovered that there IS a sort of Bigfoot activity in Switzerland. 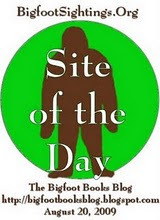 The interesting German language-based blog Sasquat.ch - Sasquatch, Bigfoot und Kryptozoologie, http://www.heuvelmans.blogspot.com/, posted statements made by the proprietor of the store. Hence we now have proof that Sasquatch is still active on all the continents of the globe, save perhaps Antarctica. '"Das Ding ist noch immer da"
Gerade bestellte ich bei Steven Streufert, einem Buchhändler im kalifornischen Willow Creek, das Buch "The Hoopa Project" von David Paulides. Willow Creek gilt als Heimatstadt von Bigfoot: In den 50er-Jahren startete dort der Hype, 1967 trottete wenige Kilometer entfernt ein vermeintlicher Bigfoot vor die Linse von Roger Patterson, und bis heute werden aus der Umgebung des Kaffs Sichtungen gemeldet. Deshalb fragte ich Streufert, wie denn die Lage momentan sei. "Here at the shop I hear about BF activity all the time, and yes, it is quite frequently very convincing. There's a regular crowd of researchers and BF hunters who keep me abreast of their current exploits; and once in a while I join them up on Bluff Creek. Suffice it to say, the thing has not gone away, despite what one hears in the media and all the sorry hoaxes." Er höre dauernd von Bigfoot-Sichtungen und einige der Geschichten seien schon sehr überzeugend, meint Streufert. Er werde von den Bigfoot-Jägern auf dem Laufenden gehalten, manchmal begleite er diese auch zum Bluff Creek hinauf (dort, wo der Patterson-Film entstand). "Das Ding ist noch immer da", schlussfolgert er. "The thing is still there Especially when I ordered Steven Streufert, a bookseller in California. Willow Creek, das Buch "The Hoopa Project" von David Paulides. Willow Creek is regarded as the home town of Bigfoot: In the 50 years it has started the hype, 1967 trotted a few miles away have no perceived Bigfoot front of the lens by Roger Patterson, and until today, from the vicinity of the Kaffs sightings reported. That's why I asked Streufert how the situation currently is.... He constantly hears of bigfoot sightings, and some of the stories were very convincing, Streufert says. 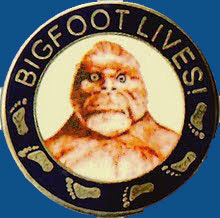 He will of the Bigfoot-hunters to be kept, he sometimes accompany them up to Bluff Creek (where the Patterson film was made). "The thing is still there," he concludes. 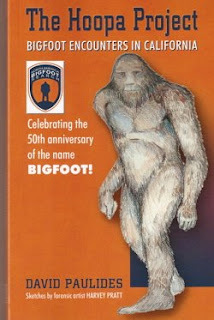 http://www.nabigfootsearch.com/home.html We at BIGFOOT BOOKS thank Mr. Paulides and Harvey Pratt, as well, for their fine book, one that confirms what we hear reported constantly here at the shop: Bigfoot Lives! Also check out the NABS' Bigfoot Sightings Map, a nice supplement to your required US Forest Service Six Rivers National Forest Atlas topos. Thank's Steven, you're right, a SORT of squatch activity, but actually no squatches. But hey: the whole legacy of the legendary cryptozoologist Bernard Heuvelmans ist stored in Lausanne, Switzerland. Two years ago I was able to search his files. A lot of interesting stuff!